Jollibee has been recognizing exemplary Filipino families for the past five years through its JVFA (Jollibee Family Values Awards). Once again, it is accepting nominations, this time for its 6th Joliibee Family Values Awards. Read on to find out the details. A family in Opol, Misamis Oriental is showing there is hope for peace in Mindanao. 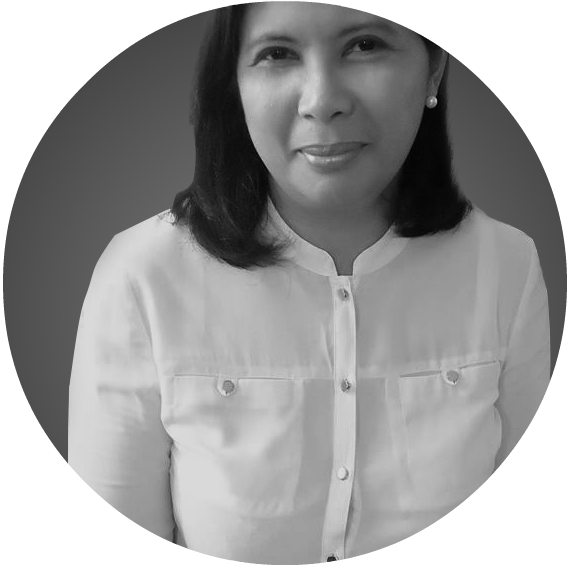 Through their advocacy of non-violent communication among Muslim and Christian faiths, the Mambuay family has been spreading peace and awareness nationwide, most especially in war-torn areas. Currently, they are conducting various peace seminars, particularly in Cebu and Bacolod, as well as teaching and nurturing less fortunate children. The Mambuay family is only one of more than 35 families who have been recognized by Jollibee, over the years, for their generosity, compassion, and a genuine concern for their fellowmen through its annual Jollibee Family Values Awards (JFVA). Now on its 6th year, the campaign continues its search for Filipino families who have made it their mission to help others with their advocacies. These families come from diverse backgrounds and social classes, and no matter how simple or ordinary, they serve as everyday heroes to uplift the lives of others. Another JFVA awardee is the Capilos family of Quezon City. Winning a Special Citation for Education award in the 5th JFVA has given the family a much-needed publicity boost that has enabled them to gain more awareness for their advocacy as well as the trust of educators, in holding free trainings for public school teachers and students. These days, the family is determined to continue their advocacy to include other localities nationwide. They also strive to put more focus on the gains of the public school teachers. “We want to concentrate on the public schools in our vicinity so we can monitor the improvements in the teachers' skills and leadership,” said Jelson Capilos. Interested parties who wish to nominate model families—including their own—must accomplish a nomination form (available for free in all Jollibee branches nationwide or for download at www.jollibee.com.ph/familyvaluesawards), and answer the questionnaire on the nominees’ suitability and eligibility. Entries may be sent via mail to the 6th Jollibee Family Values Awards, Stratworks, Inc., 2/F Zaragoza Building, 102 Gamboa St., Legaspi Village, Makati City; or thru personal delivery to any Jollibee store nationwide.The deadline of submission of nomination forms is on or before July 31, 2016. Exemplary Filipino families may be nominated on the merit of the following criteria: the magnitude of the contribution ofthe family’s advocacy, its relevance and impact on addressing the pressing needs of the community or its beneficiaries, the sustainability of the advocacy’s efforts, the degree of involvement of the family members in the cause, and their ability to surpass challenges and special circumstances on upholding their goals. 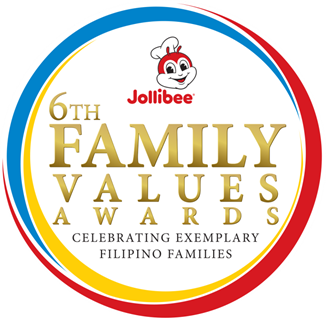 The 6th Jollibee Family Values Awards will honor six winners from across the Philippines, including one OFW family. For the five local winners, a cash prize worth P300,000, a trophy designed by renowned sculptor Michael Cacnio, and P10,000 worth of Jollibee gift certificates will be awarded. Furthermore, Jollibee will also present special citation awards to equally exceptional families who promote the following advocacies: Environment, Education, Children, Persons with Disabilities, and Minority Groups. Recipients of these special citations—to be chosen from the 15 shortlisted national finalists—will bring home P50,000 in cash, a plaque of recognition, and Jollibee gift certificates. To know more about the 6th Jollibee Family Values Awards and its different activities, visit www.jollibee.com.ph/familyvaluesawards.